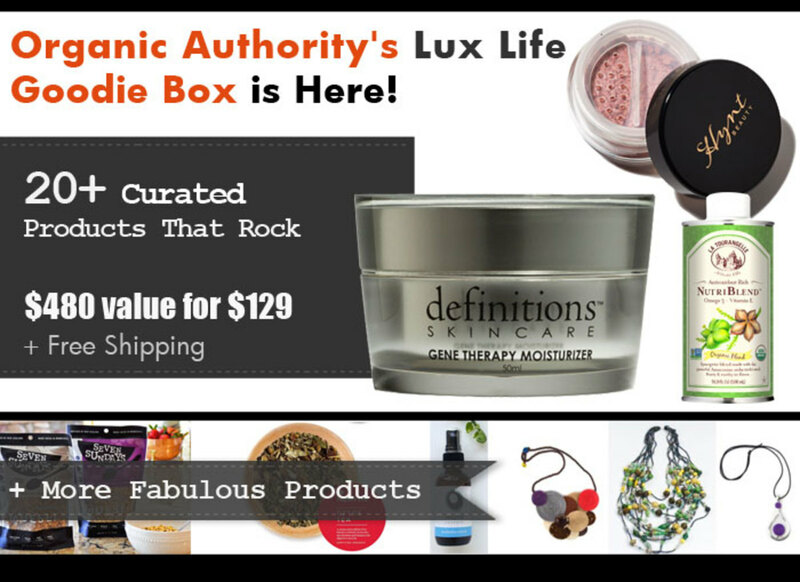 Organic Authority’s April Lux Life Goodie Box is here! 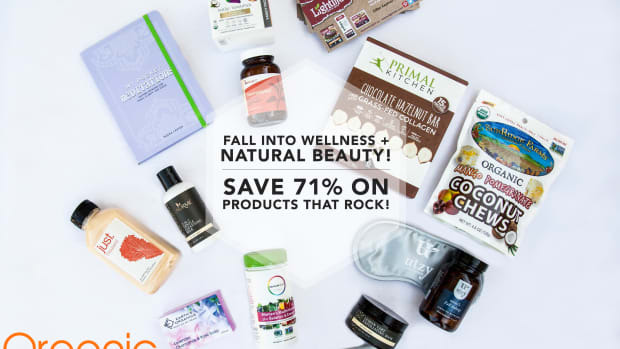 Featuring more than 20 incredible products fromtoday&apos;s leading organic, eco, natural, and completely luxurious brands. You deserve the very best, and the planet does, too. 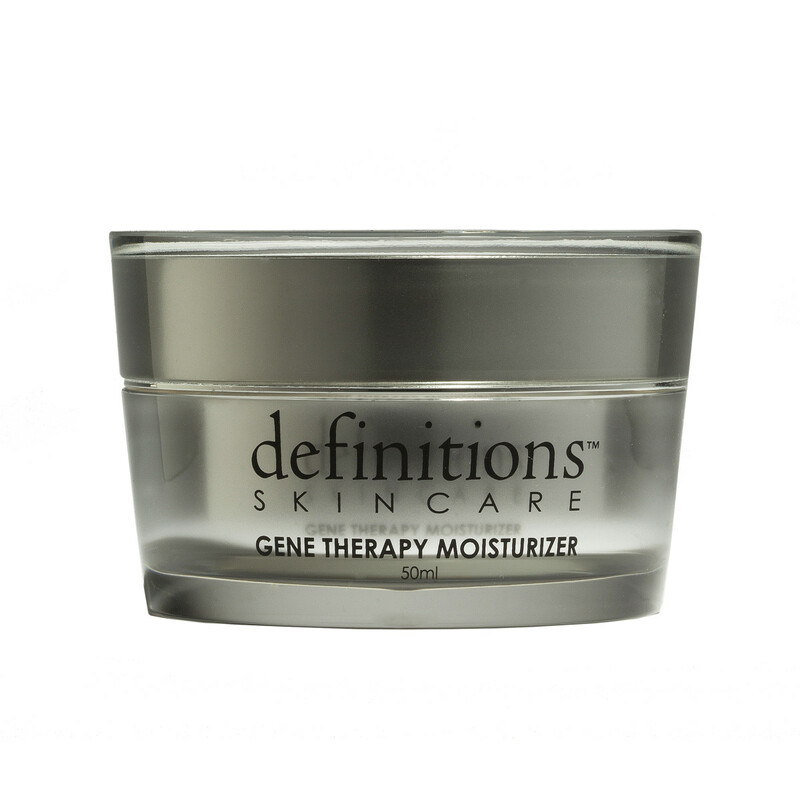 Using gene expression and the latest, most clinically advanced peptides, Definitions Gene Therapy Moisturizer leaves the skin with increased firmness, elasticity, and resistant to harmful external factors. As seen in New Beauty & Allure Magazines, all Definitions products are rapid result oriented and made with clean, nontoxic ingredients. Songa celebrates the empowerment of women around the world. It is typical for many women in developing countries to depend solely on their husbands for financial needs, but Songa Designs is changing this dynamic. By working for this company, under-resourced women have the opportunity to achieve economic independence by using skills acquired through generations of local cultural tradition. 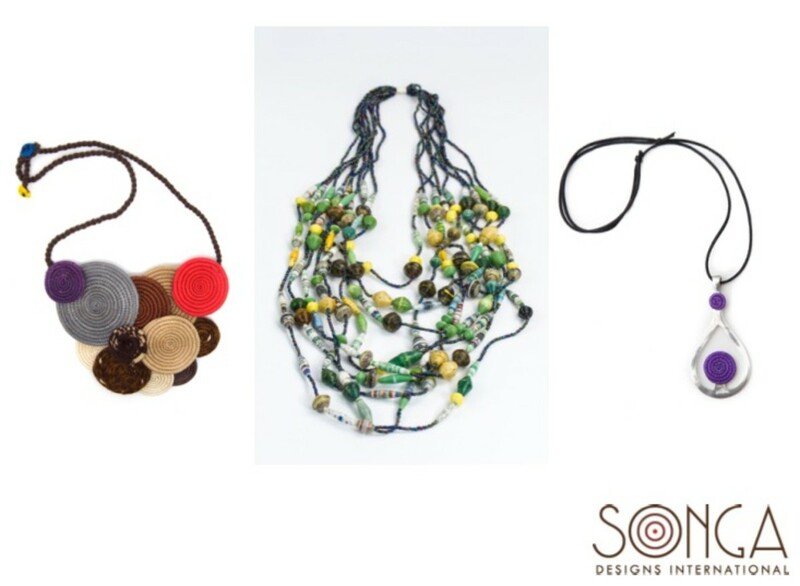 Songa Designs provides jobs for these women in Rwanda in East Africa who negotiate their own salaries and earn fair wages as they craft stylish, high quality accessories inspired by nature. The handmade and eco-friendly necklaces, bracelets, earrings, and belts are made with local Rwandan natural materials such as banana leaf, sisal plant, upcycled fabric, recycled paper, and repurposed cow horn that otherwise would end up in landfills. Each box will receive either the Wanderlust, Joya, or Zaza necklace design. This T-Shirt is one of SkunkFunk&apos;s best basics: it is 100% Organic Cotton, low impact fabric, 100% soft and comfortable, perfect for spring-summer! Skunkfunk is committed to make durable fashion, both in style and quality. 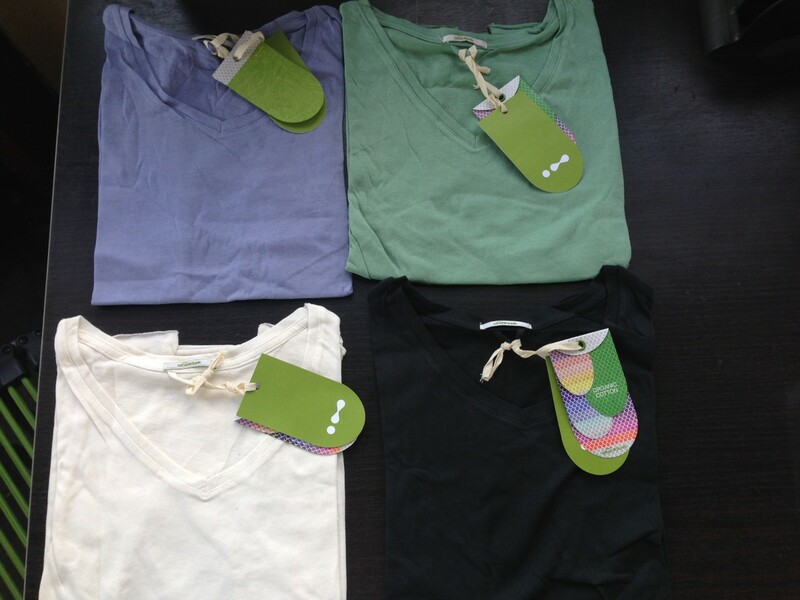 All of its organic fibers are backed by third-party certification. It is the only GOTS certified fashion company in Spain. Skunkfunk&apos;s philosophy is that a more sustainable fashion industry is not only possible but needed. In a fashion industry that often forgets social and environmental issues and creates non-durable products for massive consumption, it is up to us to create change. Each box will receive this lux tee in either white, black, green, or blue. Sizes vary. 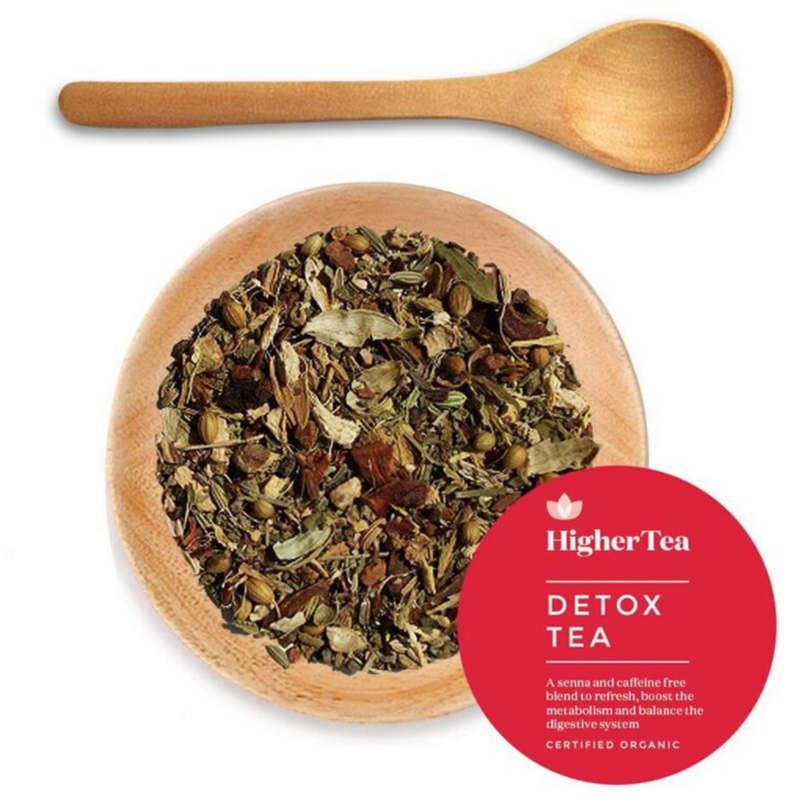 A refreshing blend of licorice, cinnamon, ginger, sage, cardamon, coriander, and dandelion, Higher Tea&apos;s detox blend helps to boost the metabolism, balance the digestive system, and is a perfect accompaniment to a healthy diet. You will feel lighter, leaner and have more energy as you remove toxins and switch to a healthy daily drink. Sleep, headaches, poor skin and allergies/intolerances are also likely to improve, along with moods and hormone balance. It improves circulation and aids lymphatic drainage. A gentle, safe and all natural remedy to restore and rejuvenate the body and mind. Perfect start to a weight loss program or health kick! Feel better within days and get your energy, health and lifestyle back that you deserve. Certified Organic. 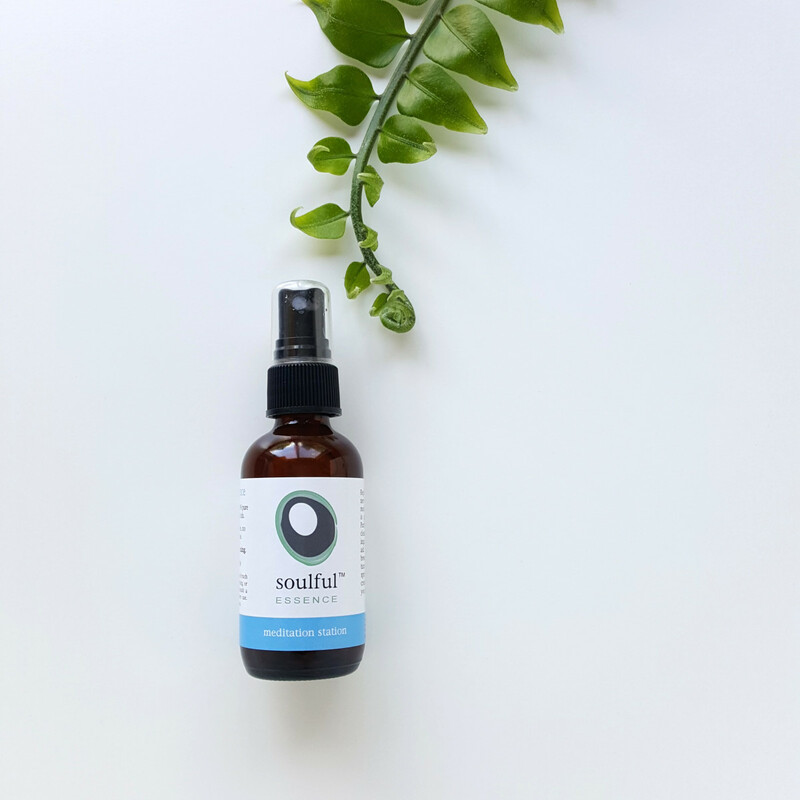 Soulful Essence&apos;s Mindfulness blend is paired with a meaningful affirmation to help keep you present in your day. Juniper and frankincense work together to relieve tension, fortify the spirit and drive out negative thoughts and emotions. Made using only 100% pure essential oils and flower waters. No artificial ingredients. This blend works best when paired with our Scent-Memory technique that can help keep you centered and connected to your inner bliss. 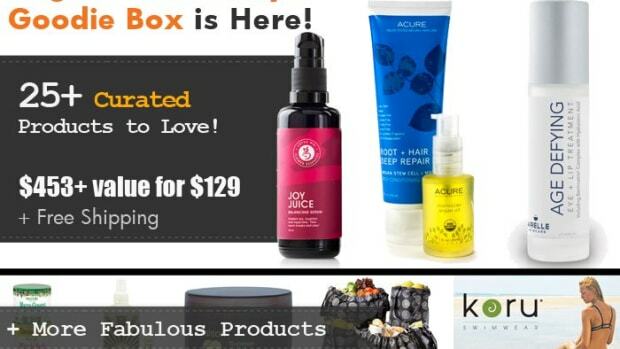 Each box will include a gift card redeemable for one bottle. This tan peach blend leaves the finish of a soft bronzer with a subtle flush of pink. Shimmer free and versatile, works across a wide range of skin tones from fair to tan. This gentle, no-shimmer matte blush is perfect for women who are sensitive to Titanium Dioxide. 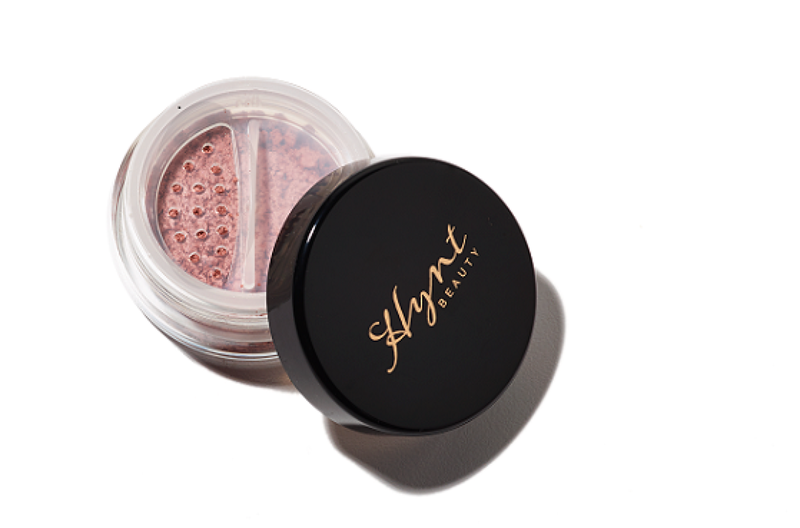 For a modern, gracefully contoured look without the drying, streaking or caking, Hynt’s Titanium Dioxide-free matte blushes provide a subtle hint of color to the cheeks. Gives a healthy sheer flush to the complexion without stealing attention away from the eyes and lips. 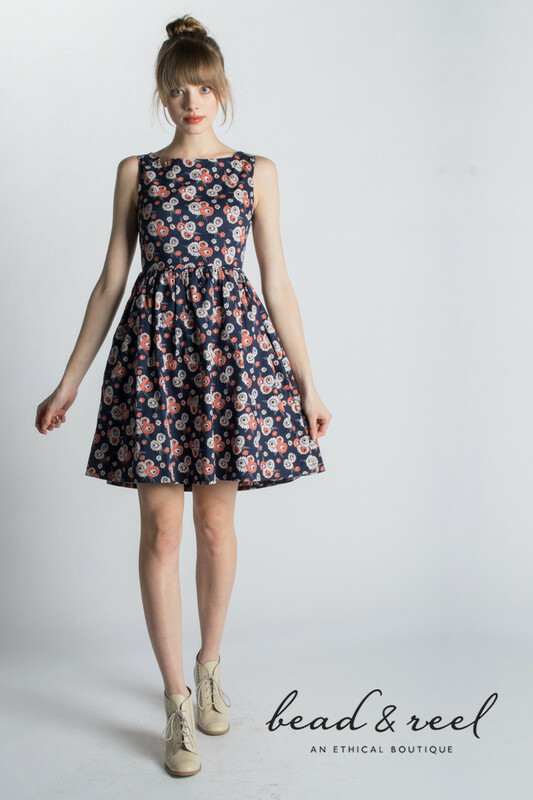 Bead & Reel believes that fashion and ethics aren&apos;t mutually exclusive, offering eco-friendly, cruelty-free, sweatshop-free styles for the conscientiously fashion-forward woman. Every item that Bead & Reel sells is based on the criteria of being thoughtful to animals, people, and the world through their carefully curated selection of hand-picked designers and products. Choose your favorite products from the Bead & Reel website with a $25 gift card. Put a little extra pep in your step this spring with invigorating aromatherapy oils from NOW® Solutions. 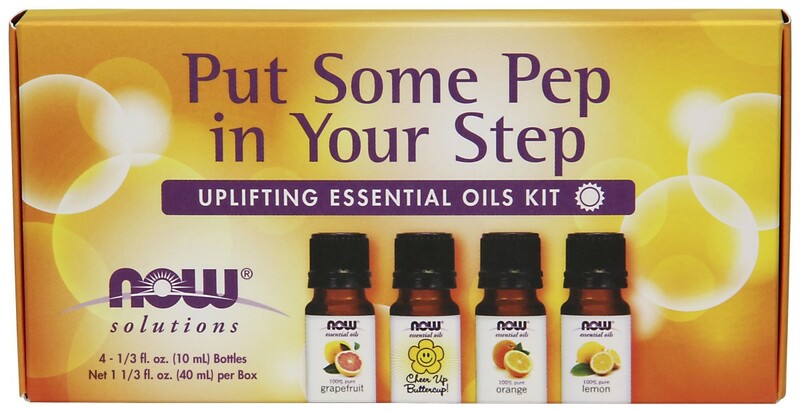 This rejuvenating “Put Some Pep In Your Step” aromatherapy kit is a delightful combination of citrus oils known to uplift and energize, including orange, lemon, grapefruit, and the delightful Cheer Up Buttercup oil blend. 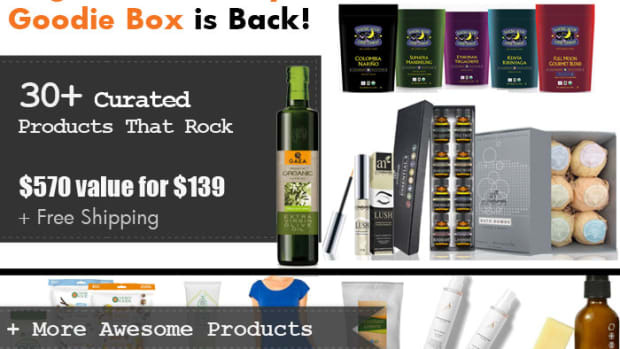 The kit includes a 10 mL bottle of each oil. NOW assures the identity and purity of its essential oils using state-of-the-art testing and analysis and adhering to the strictest quality standards. NOW® Solutions products are never tested on animals. *Note: NOW® Solutions&apos; essential oils are highly concentrated and may irritate skin if used undiluted. Avoid direct contact with skin and always follow recommended dilution instructions. Heavenly Calming Lavender Baby Lotion is safe and gentle for all skin types and smells amazing, naturally! Made with organic calendula for sensitive, delicate skin, and organic rooibos, soothing to eczema, skin allergies, diaper, and skin rash. Formulated with extra care, all of Earth Mama’s lotions are baby safe skin care, blended with organic herbal ingredients to moisturize and protect sensitive, delicate skin--from top to bottom, cheeks to cheeks. 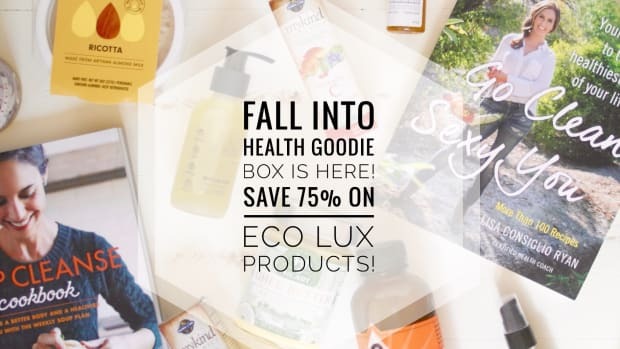 Made without synthetic fragrance, phthalates, or parabens. 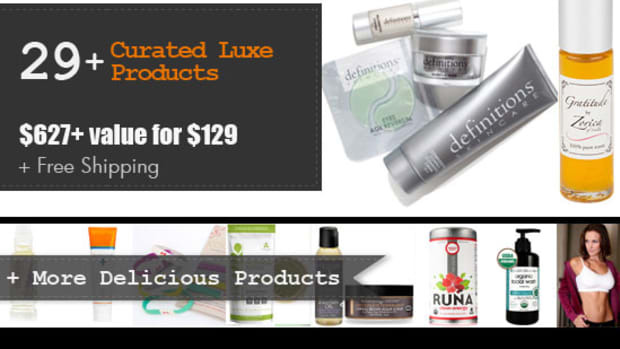 Toxin free, rated 1 on EWG&apos;s Skin Deep Cosmetics Database. Supplement your diet with whole food vitamin D3 that’s Certified USDA Organic and Non-GMO Verified.Support immune system health and calcium absorption for healthy bones with 2,000 IU (500% DV) certified vegan vitamin D3, 10 organic mushrooms in each chewable tablet. 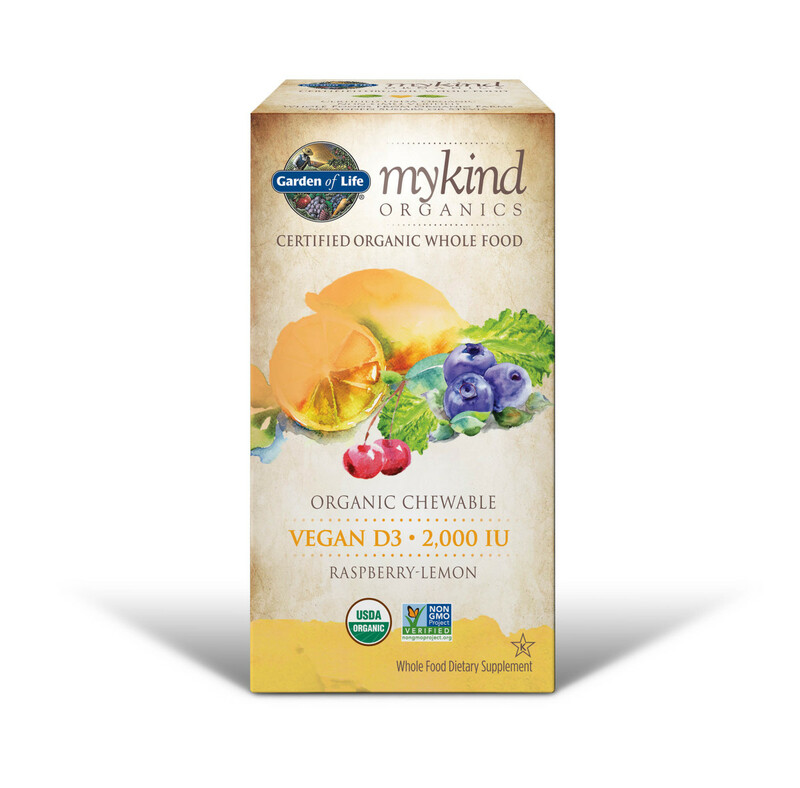 Vegan D3 Chewable is made with Vitashine®, Vegan Certified vitamin D from lichen as cholecalciferol—not lanolin.It’s a delicious chewable offered in an organic raspberry lemon flavor with no added sugars or stevia. The Organic Amazonian Nutriblend™ Oil is the first oil in La Tourangelle’s collection to double as a dietary supplement. Sacha inchi seed oil (which medicinal properties date back 3,000 years) contains high levels of vitamin E and omega 3. Not only is the blend of oils good for the body, but oil adds nutty and earthy undertones to dishes when cooking. The oil is a blend of Organic High Oleic Sunflower, Organic Virgin Sacha Inchi, Organic Refined Coconut oil, Organic Sesame Seed Oil. La Tourangelle is an award-winning artisan oil company that utilizes 150 year old methods to press its oils. La Tourangelle also imports the highest quality oils from like-minded artisan oil makers from around the world. All La Tourangelle oils are Non-GMO certified, expeller pressed and most importantly delicious. GoGargle! is the natural way to fight a sore throat. GoGargle! is an effervescent salt based tablet you drop into warm water and gargle with. Salt water gargling is one of the best things you can do for a sore, scratchy, irritated throat. 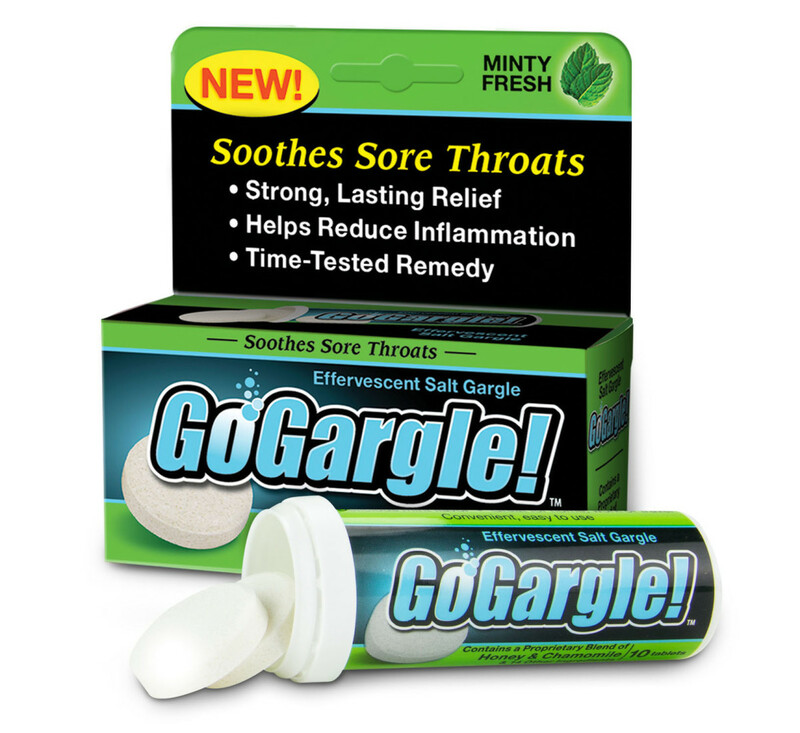 Now there is GoGargle! with added honey, aloe, chamomile, zinc, tasty mint stevia and more! GoGargle! is also great for allergy throats and mouth irritations. Pre-measured, easy to use, tastes delicious, kids love it, no chemicals, gluten-free, effective sore throat relief. Created by a mom who is also a nurse for a healthy alternative to chemical throat sprays and lozenges. GoGargle! is available at CVS, H.E.B. 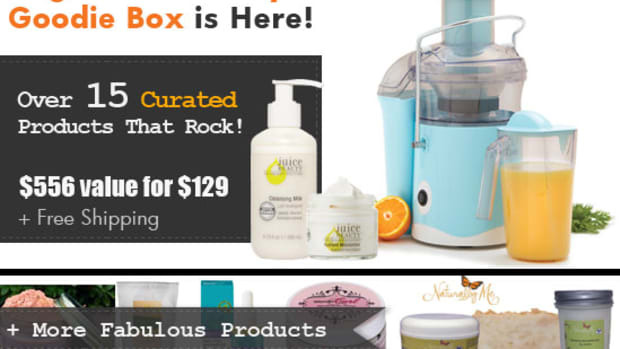 Walgreens.com, and many more retailers and pharmacies. 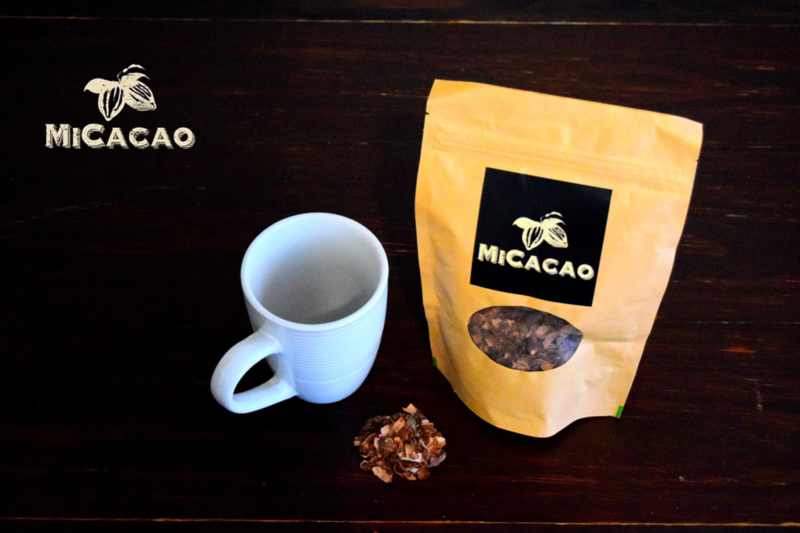 MiCacao uses organic South American grown cacao husks to create a delicious tea that is both healthy and natural. Cacao tea comes from a recipe natives of tropical regions in Central and South America have been drinking for centuries. It&apos;s light with a hint of chocolate and is packed with antioxidants, vitamins, and minerals - everything you need for a healthy mind and body. MiCacao is designed to be enjoyed according to your individual tastes. We suggest a splash of milk and sweetener in order to bring out the chocolate flavors in the tea, but feel free to get creative. 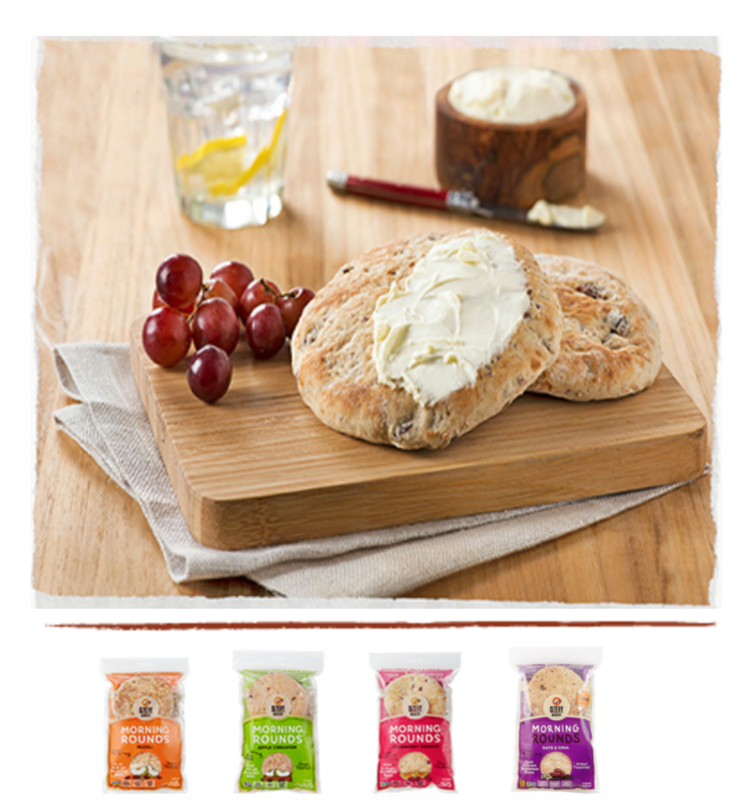 Ozery products draw inspiration from the family&apos;s philosophy of eating healthy, wholesome food. The all natural, whole grain pitas are made without any artificial flavors, preservatives or additives. All products are certified as kosher under the Orthodox KSA (Kashruth Supervision of America) organization, so you never have to worry about animal products or by-products. Essential Oxygen makes clean products that work and benefit both people and the planet. 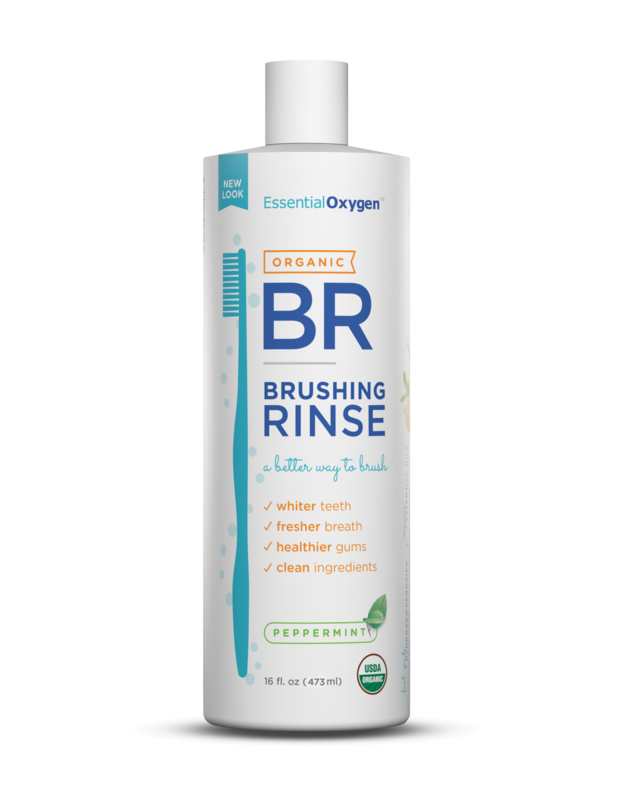 The Organic Brushing Rinse is a better way to brush your teeth for pristine oral health. The best part? It really works! After using Organic Brushing Rinse be prepared for whiter teeth, healthier gums, less tartar, canker sore salvation, tooth sensitivity reduction, and of course - the freshest breath ever! It has no objectionable ingredients like alcohol, fluoride, glycerin, sodium laurel sulfate, or microbeads and it is certified organic, non-GMO, vegan, and gluten-free. Both your mouth and Mother Earth will thank you for using Organic Brushing Rinse since it is effective and cleanest way to brush your teeth. Chickpea Fusilli – The Chickpea Fusilli is a healthy and delicious mealtime choice that will simplify your life for the long run! 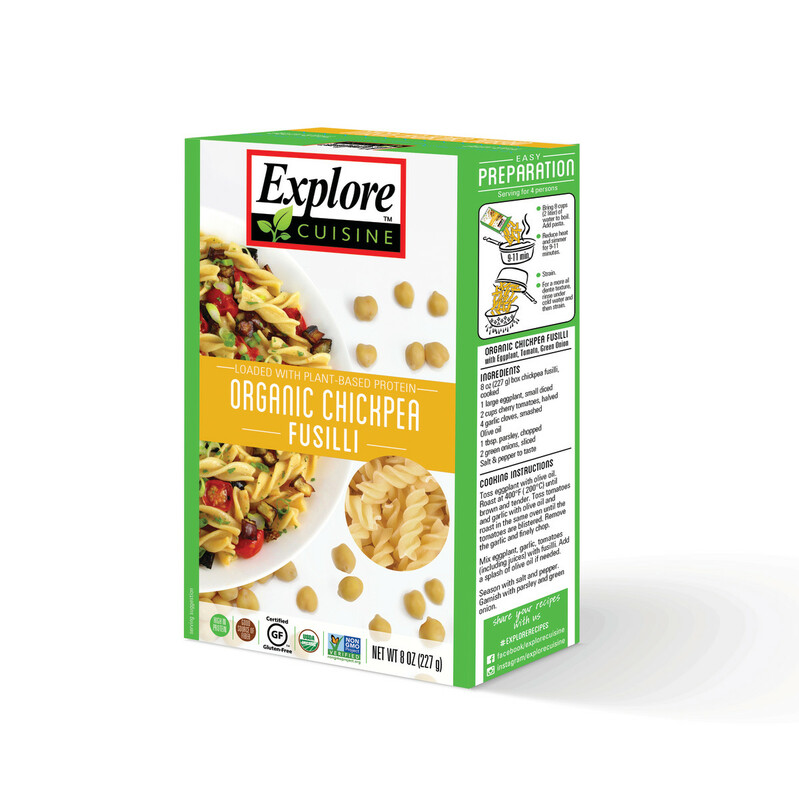 With only four organic, whole food ingredients, this pasta contains 11g of protein and nearly 20% of your daily dietary fiber requirement per serving. With its soft and supple texture, mild taste, this Explore Cuisine fusilli pasta is Chickpea Heaven! Green Lentil Lasagne –Made with real, whole organic ingredients, this unique lasagne boasts vegan and vegetarian-friendly, gluten-free ingredients. 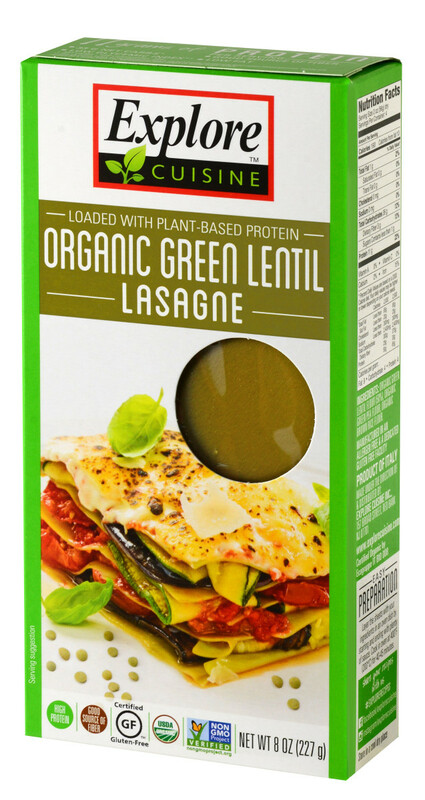 Forget substitute; the no boil Green Lentil Lasagna lasagne noodle will become your NEW home-cooked dinnertime favorite. Explore Cuisine offers consumers affordable food by buying ingredients direct from the farmer and producing right next to the fields. Explore Cuisine is committed to fair trade and sustainable living, so that everyone benefits along the way – from the field to your home. 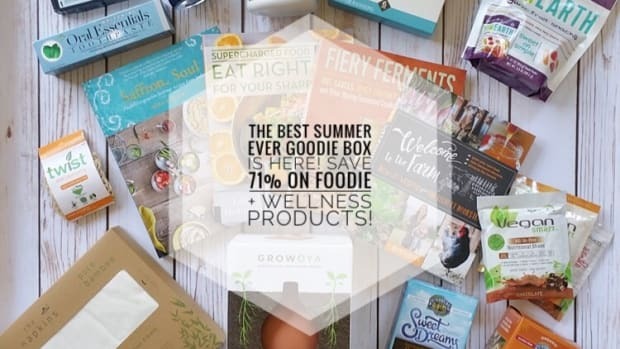 Two percent of all proceeds support the Food to Thrive Foundation. Each box will receive one box of fusilli and lasagne. Crunchy baked chickpeas as just as nature intended, dusted with natural sea salt to make them even better! This "Goodie" is non-GMO, certified gluten-free and has zero preservatives or artificial flavors, making it the perfect go-to snack anytime, anywhere. 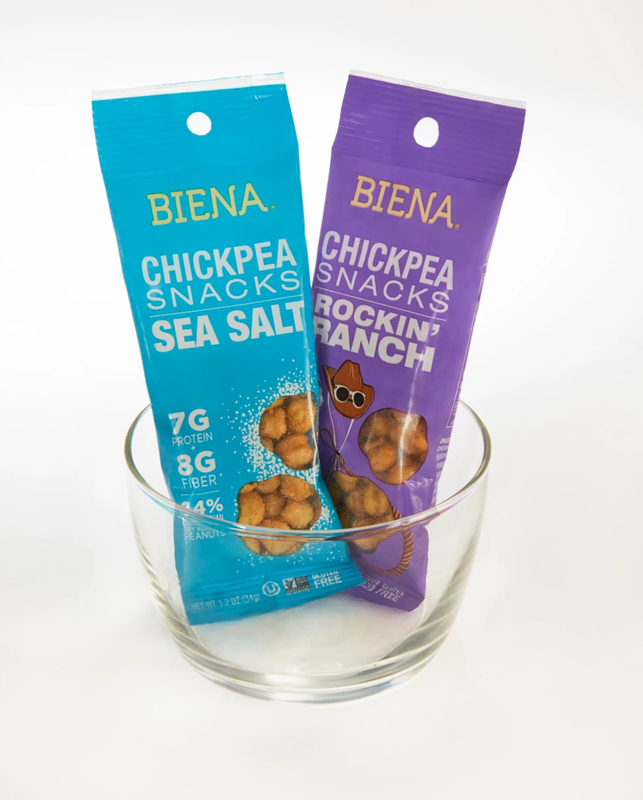 Rockin’ Ranch chickpea snacks boast the “trifecta” of high protein and fiber, but with significantly less fat than nut or chip snacking options. 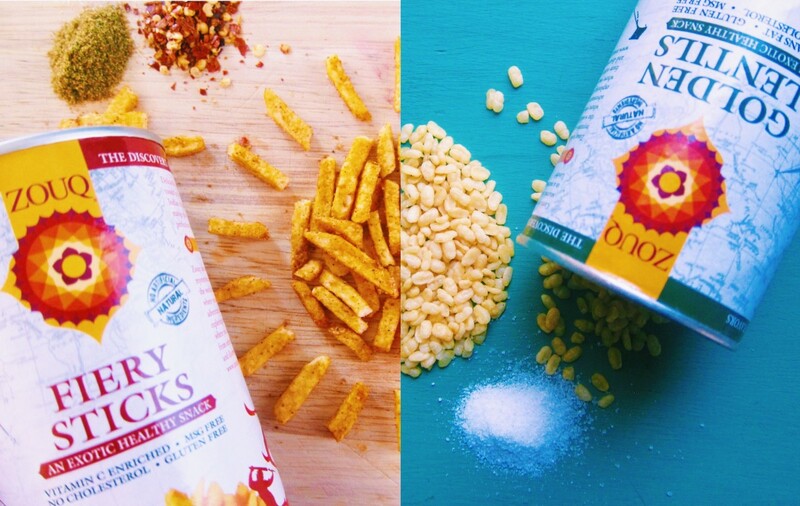 A truly unique – and dairy-free – taste and texture experience, Rockin’ Ranch debuts as the only ranch-flavored chickpea snack on the market. Pure’s Ancient Grains are a crispy, fulfilling treat loaded with 5 grams of plant-based protein. Made with quinoa, crispy brown rice, amaranth, flax seed and hemp, these delicious bars contain around 160 calories, depending on the bar, 2 grams of fiber and only 6 to 9 grams of sugar. 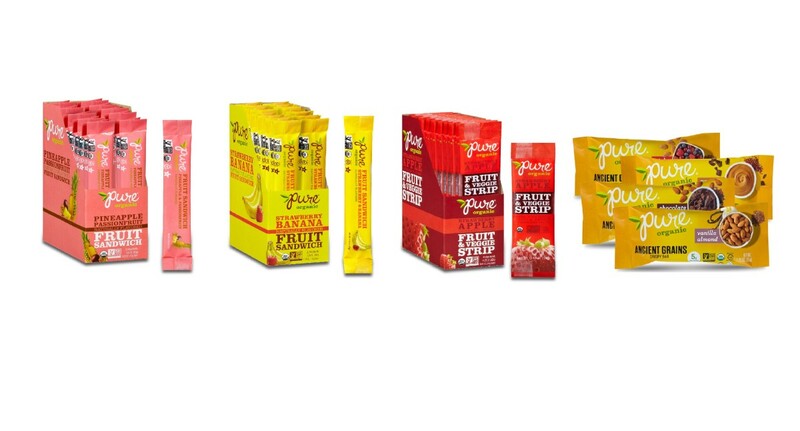 Pure’s Strawberry Apple Fruit Strips are a delicious and healthy snack to meet mom’s standards. These tangy and sweet snacks are only 50 calories each and are made from real fruits and vegetables, while containing no added cane syrups, artificial flavors or colors. Pure’s Pineapple Passionfruit and Strawberry Banana Fruit Sandwiches are a triple-layered fruit treat perfect for lunchboxes. Made from organic fruit and vegetables, these delightful snacks are only 60 calories each and contain no added cane syrups, artificial flavors or colors. ZOUQ&apos;s mission is simple: to connect people and cultures through food, starting with a line of Indian-inspired Gourmet Snack Mixes. The Golden Lentils and Fiery Sticks are two of the most popular flavors - both are crunchy snacks that are prefect for fueling your body and mind. The Golden Lentils are high protein simple savory snacks that made with just four simple ingredients. The Fiery Sticks are hot and spicy potato sticks that contain exciting spices like red chili, green mango powder, and cumin seeds. ZOUQ’s roots lie in the idea of balance and unity, and its goal is to help foster connections between people of all cultures and backgrounds. The Blueberry Chia Buckwheat muesli is a simple but sturdy blend of chewy blueberries and apples, crispy coconut strips and superfood chia seeds. It quickly became a fan favorite. 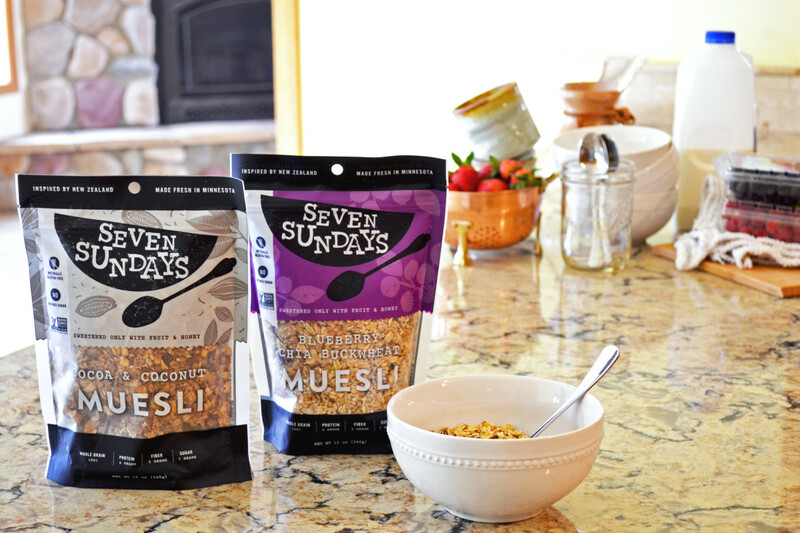 Cocoa & Coconut has quickly become THE favorite amongst the Seven Sundays team (and anyone else who has been lucky enough to try it). The initial reaction is typically &apos;and this is good for me?&apos; News flash - it IS. The cocoa powder is unsweetened, but when it hits the milk (and coats the dates) magic happens. The toasted coconut, sliced almonds and pepitas give it good crunch and protein. We recommend eating straight out of the bag with milk at ANY time of day. Make sure to add enough milk so that you get that last gulp of chocolatey goodness (reminiscent of your Cocoa Pebble days)! 100% FOOD is a nutritionally complete meal replacement that provides all the nutrients needed to satiate your body, following the FDA’s 2,000 daily calorie diet guideline. Each bottle is 670 calories. There’s a menagerie of shake and smoothie concoctions on the market today, but they are mainly for those looking to lose weight or gain muscle mass. 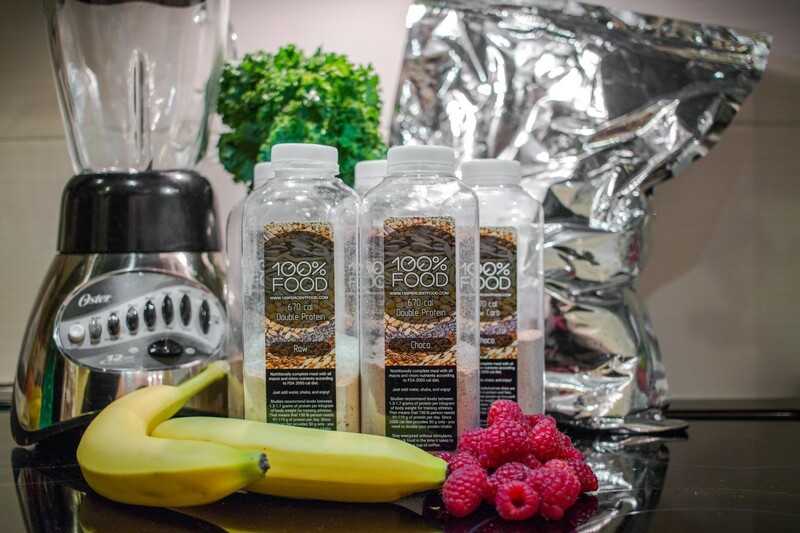 100%FOOD is an innovative stand alone as it was designed to provide a full meal’s worth of nutrients in one bottle and in addition, it is also vegan with non-GMO ingredients and BPA free packaging. Each box will contain one each raw and chocolate. Sale Price: $129.00 + free shipping! That’s a 74% discount! The box goes on sale Monday, April 25th, 2016, at 8 o’clock am Pacific Time. 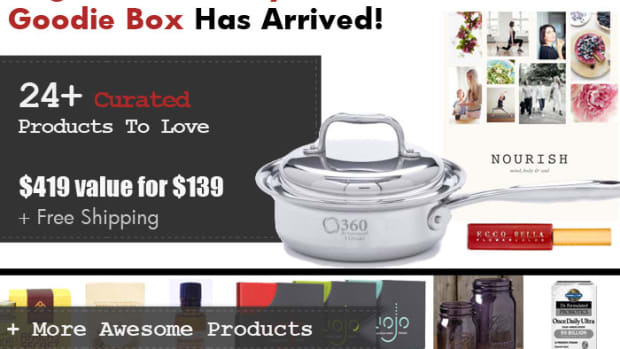 This offer is only available to the first 60 buyers. When we are out, we are out! Set your alarms and mark your calendars–these will sell out fast! Buy one, two, or three (but don&apos;t buy all 60 please, that&apos;s just mean)!